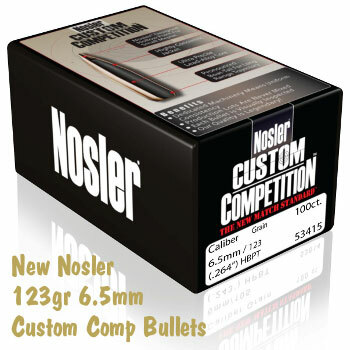 For 2012, Nosler® is adding three (3) new projectile designs to its Custom Competition™ line of bullets: 6.5mm – 123gr, 7mm – 168gr and .308 – 140gr bullets. All three new bullet types will be offered in both 100- and 250-count boxes. Nosler® has blended the accuracy of its Custom Competition™ bullet jackets with its own ultra-precise lead-alloy cores to create a match bullet design that should rival other premium bullets. These new Custom Comp bullets have a very small meplat for increased aerodynamic efficiency and a long boat tail for good BC and reduced drag. 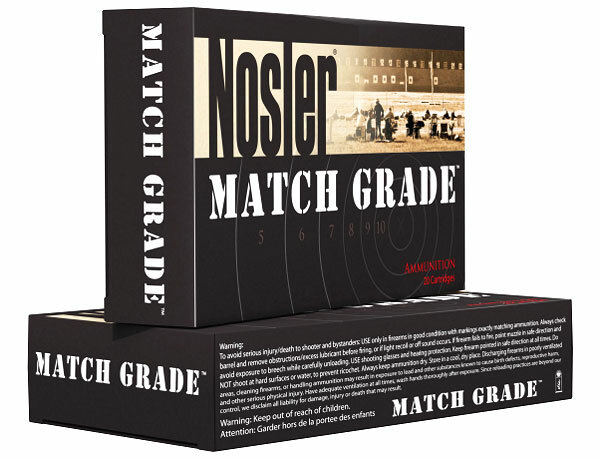 Share the post "Nosler’s 2012 Offerings for Precision Shooters"
This will undoubtedly be great stuff. I don’t have time to reload but factory Nosler has been the most accurate ready-made ammo I’ve tried. My Cooper 223 and Savage 308 consistently shoot dime-sized groups with the 40gr Varmint and 168gr Custom, respectively, and my all-time best group ever has been .044 with the 308 [using a bipod and squeeze bag]. WOW! I can’t wait! The 123 grain 6.5 is going to be my new bullet for the 6.5 BPC. I don’t even need to test. Send me a thousand right now!